A challenge to a Springfield voter approved ordinance that prohibited the sale or consumption of alcohol in a family movie theater started with a bang and ended with a whimper. In 2010 citizens of Springfield decided to take action into their own hands after the City Council refused to enact an ordinance prohibiting the sale of alcohol and consumption in family orientated movie theaters. The Springfield DWI Task Force collected signatures for an initiative petition that would prohibit the sale, consumption, or advertising of alcohol in a family oriented movie theater. This action was supported by a host of community groups such as the Missouri State Arts Association, the Greene County Medical Association, the Greene County Sheriff’s office, the Greene County Prosecutor’s office and many PTA members. There are several reasons why alcohol should not be served in a movie theater. 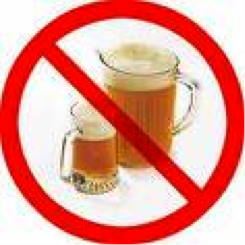 First, allowing drinking of alcohol in a darkened theater or in any facility where alcohol is served, that is dimly lit, presents a serious fire hazard. Some of our worst fires have occurred in movie theaters. There is no reason to add to the fire hazard by having drunks stumbling around while they try to find the exit. On top of that allowing adults to drink in a darkened movie theater is a very bad idea because this makes enforcement of laws prohibiting minors from drinking impossible. Parents and families also need to be assured that when they allow their children to go to a movie theater that this happens in an atmosphere suitable for children and families. The voters responded positively by approving the ordinance in April of 2011. 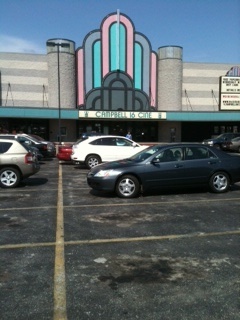 Wehrenberg Theaters who operates the Campbell 16 Theater in Springfield responded by suing the City alleging that the ordinance violated their due process rights, their right of free speech under the First Amendment to the United States Constitution and other rights under the law. After the City filed its answer to the petition Wehrenberg dismissed its petition, stating that it was not comfortable with proceeding with protracted litigation and that it wanted to concentrate on its core business. So what happened? When the City raised the defense that the state law prohibited the selling and consumption of alcohol in a movie theater, Wehrenberg had second thoughts. The dirty little secret, not known to many citizens, is that state law requires adequate lighting [CSF 70-2.120(6)] and prohibits the showing of lewd pictures [CSR 70–2.130(16)(F)] in a business where alcohol is sold or consumed. The bottom line is that Wehrenberg would have lost the lawsuit based upon existing state law even if it had succeeded with its challenge to the validity of the City ordinance. This entry was posted in Law and Policy and tagged Alcohol in Movie Theaters, Missouri Law on Alcohol in Movie Theaters, Springfield Ordinance Prohibiting the Sale of Alcohol In Movie Theaters, Stoping Teen Age Drinking, Wehrenberg and Alcohol in Movie Theater, Wehrenberg vs. City of Springfield. Bookmark the permalink. How many movie theatres with alcohol sales have burned? When I was a kid in the 1960s, I saw teenagers bring half-pints of vodka into movies. Sometimes, they drank it first, then came in the theatre. It didn’t seem to matter whether they drank it outside or inside; they were still obnoxious. I think the theatres would rather earn money by selling booze than have people bring it in. Do you think the ordinance has any other real effect other than to keep theatres from being able to add alcohol to their other high-calorie, low-nutrition offerings? There were some pretty horrific fires in movie theaters early on at the advent of this industry. Today fire codes are extremely strict and so there are not many fires but if there is a fire a person who is impaired due to alcohol is a real hazard. Even small amounts of alcohol affect your ability to react. While I am not a tea toddler drinking by minors is a bad thing and like the cigarette industry the alcohol industry wants to get minors to drink, although they will deny this. There is pretty good evidence to show that drinking by minors increases the chances of being addicted later and some evidence to show that it affects the brain during its formative years. You are correct that the movie theater industry is trying to make profits and they see this as just another lucrative revenue stream. They are also concerned with competition that allows you to see a movie at home and drink.